Ah, those were the days! 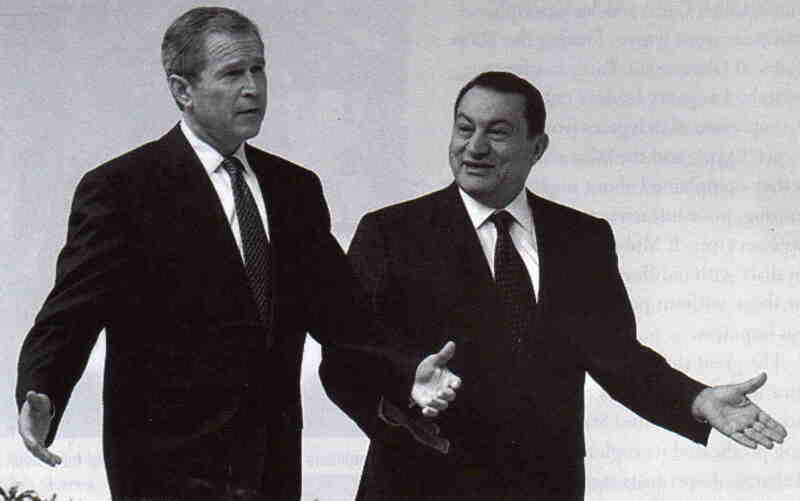 This charming snap of George W Bush and chum Hosni Mubarak is from the March 2011 edition of Australia/Israel Review — a magazine I have been receiving through my employer. But as I am retiring on March 31, I will no longer be able to quote from it in my blog posts at tweetextensions.com. As Gerard Henderson has noted, there is a diversity in the Greens, with some members socially progressive or genuinely concerned with environmental issues, while others are simply reactionary — opposed to progress, jealous of and angry at people who have been socially or economically successful, and in need of hatred and diversion elsewhere to complement their own contempt for others. / The Israel boycotters are in the latter category. . .
Don’t you just love Zionist analysis? 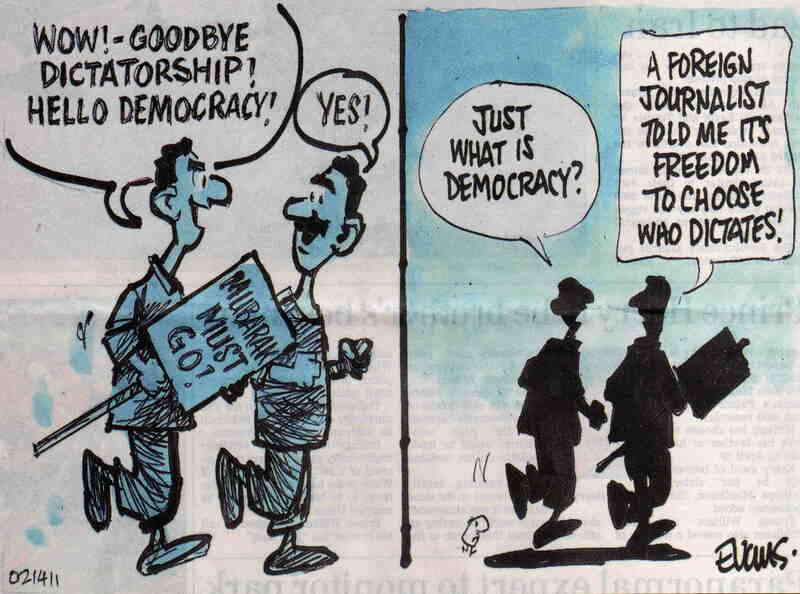 Cartoon from the Manawatu Standard of March 24, 2011. 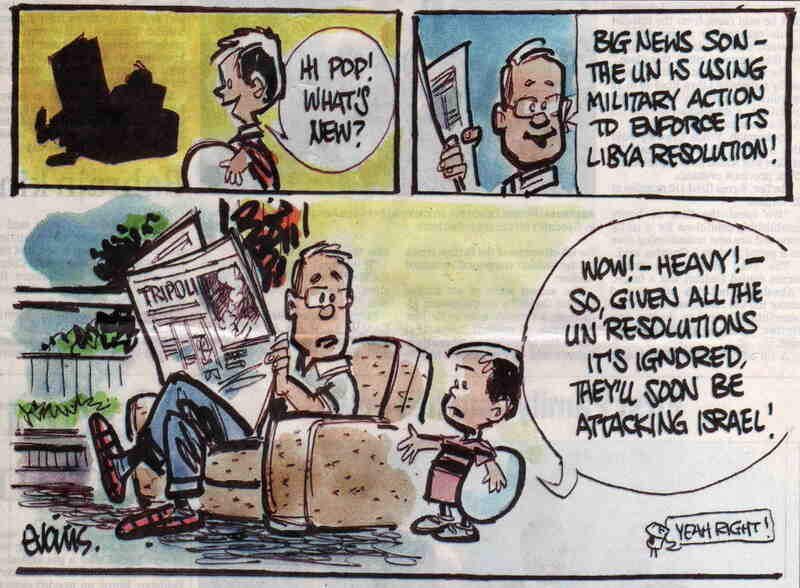 Cartoon from the Manawatu Standard of March 22, 2011. 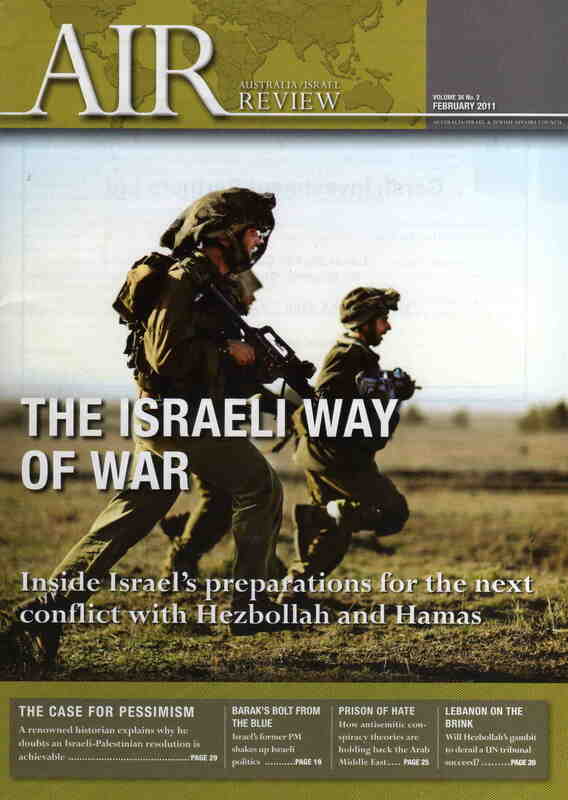 Our cover story this month provides a unique look inside the Israeli military and its preparations to ethically fight (emphasis added) the next war with Hezbollah or Hamas. Peripatetic Middle East journalist Michael Totten visits the Lebanon border, Israel’s JAG corps in Tel Aviv and a unique artificial “city” in the Negev desert to provide some original insights into Israel’s efforts to maintain the traditional IDF ethos of “purity of arms.” (emphasis added). Really, who are they kidding? Cartoon from The Dominion Post of March 1, 2011. 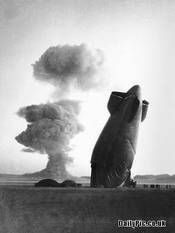 The Arabs are “overthrowing the old order” not because they are “suddenly thinking for themselves”, but because they have finally overcome their crippling fear of the Western-backed dictators who ruled them. Challenge Weekly, New Zealand’s Christian newspaper, is always good for a laugh. The article on the left is from the issue of February 28, 2011. 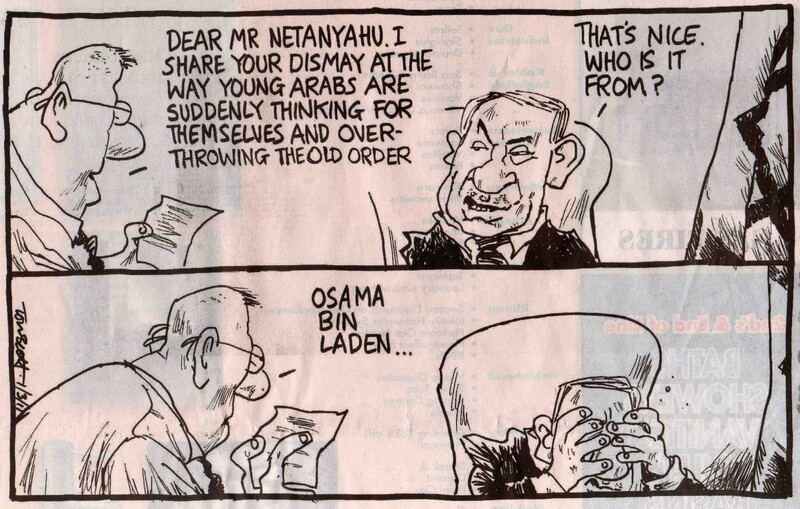 Cartoon from the Manawatu Standard of February 15, 2011. The cartoonist is Malcolm Evans. A tasty morsel for Uncle Sam’s doorstep. 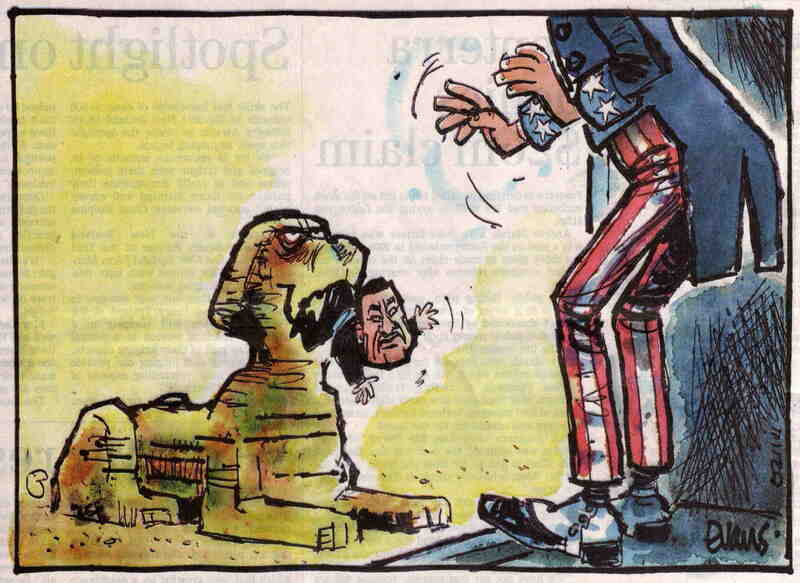 Cartoon from the Manawatu Standard of February 12, 2011.